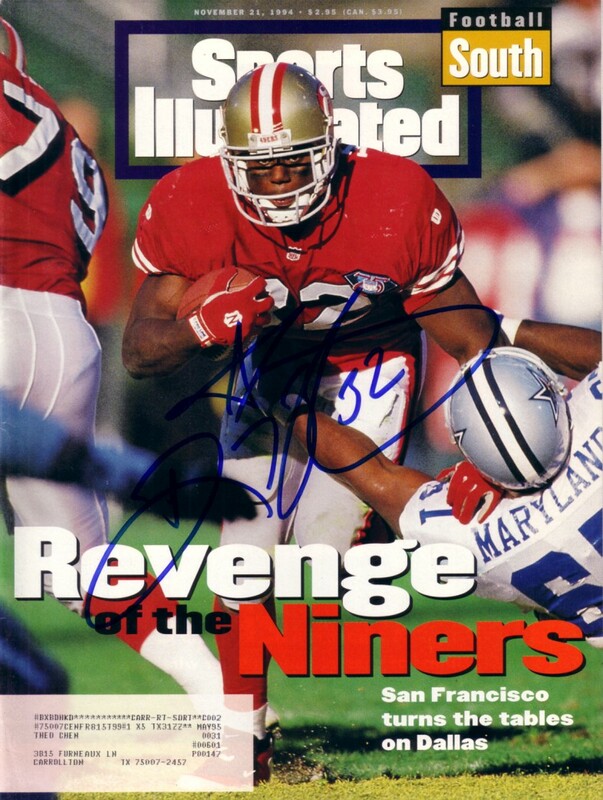 Complete Nov. 21, 1994 issue of Sports Illustrated autographed in blue by former 49ers superstar running back Ricky Watters. Has subscription address, otherwise nearly flawless. ONLY ONE AVAILABLE FOR SALE. With certificate of authenticity from AutographsForSale.com.